China’s earthquake administration said on Saturday it had detected a magnitude 3.4 earthquake in North Korea that was a “suspected explosion”, raising fears the isolated state had conducted another nuclear bomb test. The administration said in a statement on its website that the quake, which occurred around 0830 GMT, was recorded a depth of zero kilometers. There was no immediate reaction from China’s Foreign Ministry. 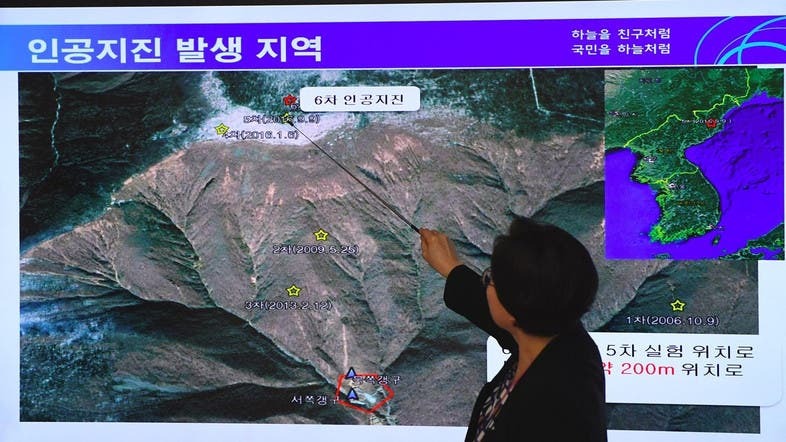 The earthquake was detected in Kilju county in North Hamgyong Province, where North Korea’s known Punggyeri nuclear site is located, according to South Korea’s meteorological agency. The agency said it was analyzing the nature of the quake and its initial view was that it was a natural tremor because no soundwaves specific to man-made earthquakes were detected. Seoul’s weather agency said the magnitude 3.0 earthquake was detected in North Korea on Saturday around where the country recently conducted a nuclear test, but it assessed the quake as natural. The quake was detected in northeastern North Korea, and about 20 kilometers southeast of where the North conducted its sixth and most powerful nuclear test on Sept. 3, according to an official from Seoul’s Korea Meteorological Administration. China’s official Xinhua news agency said the epicenter was roughly at the same place as a similar shallow earthquake on Sept. 3, which turned out to be caused by North Korea’s sixth and most powerful detonation, triggering a much stronger 6.3-magnitude quake that was felt across the border in China. Tensions have continued to rise since North Korea carried out its sixth nuclear test, prompting a new round of UN sanctions. North Korea’s Foreign Minister Ri Yong Ho, currently in New York for a United Nations meeting, warned on Thursday that Kim could consider a hydrogen bomb test of an unprecedented scale over the Pacific.